Luis Diaz (CNY) and Caroline Marks (USA) claim victory at the Vans US Open of Surfing Pro Junior in Huntington Beach, California. 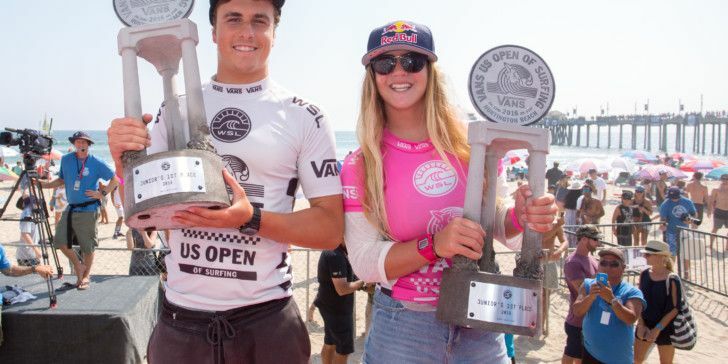 HUNTINGTON BEACH, California/USA (Saturday, July 30, 2016) – Luis Diaz (CNY)and Caroline Marks (USA) have won the World Surf League (WSL) Vans US Open of Surfing Pro Junior in two-to-four foot (0.5 – 1.5 meter) conditions at the Huntington Beach Pier. 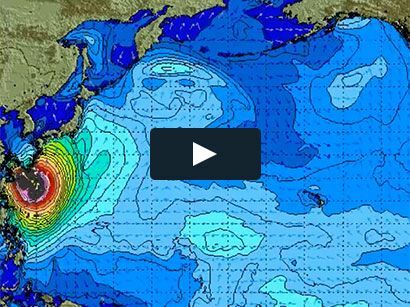 In addition to the action that went down today, tomorrow will see world class performances with the WSL Samsung Galaxy Championship Tour women’s Quarterfinals and the WSL Qualifying Series (QS) 10,000 men’s Quarterfinals as both events are set for an exciting finish. Hailing from the Canary Islands, Diaz captured the 2016 Men’s Junior Title from the North American competitors with a brilliant performance over the talented field. Taking on Yuji Mori (JPN), Jake Marshall (USA), and Nolan Rapoza (USA), the 17-year-old could not believe he earned the win when coming out of the water. Though he will not earn points from this win because the event is out of his European region, it was a momentous milestone in his career. Defending champion Caroline Marks (USA) retained her Vans US Open of Surfing Women’s Junior Title in terrific fashion. Marks is the first to ever win back-to-back Junior Titles at this prestigious event. Getting off to a slow start, Marks made up for it with a massive finish and posted a solid 6.50 (out of a possible 10) and an excellent 7.50 on her final two rides. With the Men and Women Juniors crowned, the Vans US Open of Surfing Men’s QS10,000 ripped through their Round 5 heats and have Quarterfinal draws set with spectacular match-ups in store. Despite the challenging conditions, competitors showed why they are some of the best in the world with dominant performances. Kanoa Igarashi (USA) made it back into the Quarterfinals over Conner Coffin (USA)using his local knowledge and picking off the best two waves in a star-studded match-up. The hometown hero looked to be in top form both mentally and physically as the heat progressed and maintained his lead throughout the thirty minutes. Capping off the heat with his last ride to solidify the win, Igarashi posted the best score in the heat as the clock dwindled down. Igarashi will face Bino Lopes (BRA) in the next round for an opportunity to advance to the Semifinals. Sebastian Zietz (HAW) continued his reign over the lineup at the Huntington Beach Pier and posted another excellent 8.67. The Hawaiian had his strategy in place with the smaller conditions on offer and kept the momentum from yesterday’s big win alive over the in-form Davey Cathels (AUS). The heat came down to the final seconds and Zietz was able to breathe a heavy sigh of relief after the horn sounded. Zietz will advance to the Quarterfinals, where he will try to defeat reigning WSL Champion Adriano de Souza (BRA). 2013 Vans US Open of Surfing Champion Filipe Toledo (BRA) found his way back into another finals day at Huntington Beach, California. The Brazilian native, San Clemente, California transplant felt at home in the lineup with such an impressive history at this event — winning both a QS and Junior Title in the past. Sticking to his signature, lightning fast surfing, Toledo had the crowd in attendance on their feet as he posted the highest heat score of the round, an impressive 14.67. Toledo will battle powerhouse and fellow CT competitor Michel Bourez (PYF) in the Quarterfinals. Rounding out an incredible draw, 17-year-old phenom Ethan Ewing (AUS) will take onRyan Callinan (AUS) in the opening heat of the Quarterfinals. The Final day of competition will continue tomorrow morning, starting with the men’s QS10,000 Quarterfinals at 8:00 a.m. local time followed by the women’s Samsung Galaxy WSL Championship Tour Quarterfinals.